The changing of seasons can be refreshing and motivating for some, however nearly 1/3 of Americans associate this period as a time to dread: allergy season. Most of us are familiar with symptoms of allergies as either sufferers ourselves or recognizing the symptoms in friends or loved ones who regularly suffer every year. Seasonal allergies (also known as hay fever, and allergic rhinitis) are caused when airborne pollen from trees, flowers, grasses, weeds, and mold spores enter the body through the nose, eyes, or throat. About 50 million Americans suffer from allergic rhinitis in which their bodies mistake pollen as “infectious invaders” and react by releasing chemicals, such as histamine, to combat the invaders. Even though these histamines may be helping to fight these invaders, their release results in inflammation of these areas that leads to discomfort and irritation. In fact, it can be hard for some to tell if there symptoms are from seasonal allergies vs. a cold. If your symptoms are accompanied with sleep issues, it may be your allergies acting up. Your allergies can have a very strong effect on your sleep. Whether it is just dealing with the discomfort of your stuffy nose or prolonged sleep apnea, sleep issues are not conducive to a happy healthy adult. Sleep problems are common in people with allergic rhinitis. One study found that sleep is dramatically impaired by allergic symptoms and that the degree of impairment is related to the severity of those symptoms. Not surprising if you have ever suffered from an allergy attack. In addition, sleep problems are linked with fatigue and daytime sleepiness as well as decreased productivity at work or school, impaired learning and memory, depression, and a reduced quality of life. According to a study published by the National Institutes of Health, 48% of patients with allergic rhinitis reported the condition interfered quality of sleep. This is a sleep disorder in which breathing is briefly and repeatedly interrupted during sleep. This condition is frequently linked to those suffering from allergic rhinitis. This condition occurs when the muscles of the throat relax and fail to hold the airway open during sleep. Nasal congestion, which causes the upper airway to narrow, increases the risk of both snoring and obstructive sleep apnea among allergic rhinitis patients. The good news is that reducing nasal inflammation may reduce symptoms of snoring and OSA as well as daytime fatigue and sleepiness, according to at least one study. This is particularly important for those OSA patients who have trouble with continuous positive airway pressure(CPAP) devices because of nasal congestion. Avoid being outside in the early mornings when pollen count is highest, or during windy days when pollens are flying through the air. Keeping doors and windows closed to keep pollens from entering the home especially during the times of high pollen. Removing clothing worn outside and washing clothes and bedding often. Vacuuming floors often, especially in entryway and rooms where windows have been open in. Taking antihistamines and nasal decongestants (however, check with your doctor as some nasal decongestants can cause insomnia). Taking hot steamy showers during the evening to clear sinuses. This can especially help you feel calm enough to fall asleep. You could also use a saline spray. Keeping nasal passages clean by rinsing with water mixed with salt. 2 cups of water to 1/2 teaspoon of salt works very well for a homemade remedy). 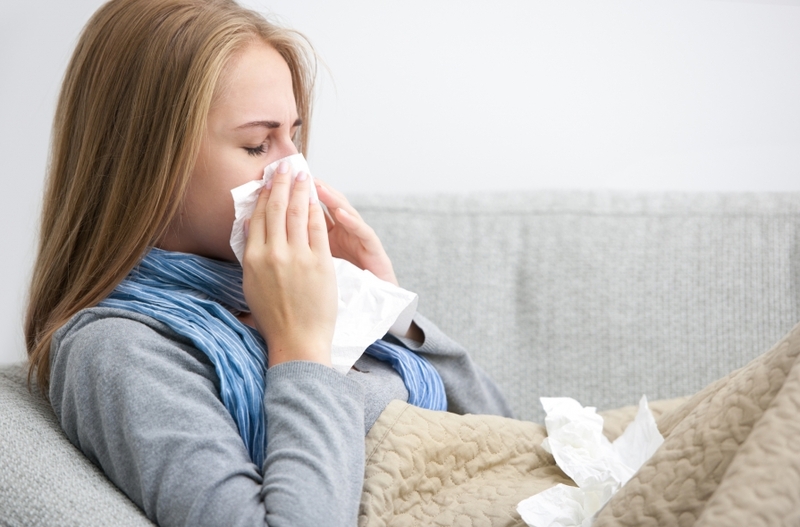 Preventative measures are to be done before you experience your allergy symptoms. Because of this, start using some of these tips are daily habits in your life. Hopefully you see a decrease in your allergy symptoms. Allergies can make symptoms of already existing sleep apnea worse. However, if you are an allergy sufferer already on CPAP therapy there are a few things you can do to decrease your seasonal breathing troubles from impacting your sleep. One of the recommendations is to use a full face mask for CPAP therapy. Because allergic rhinitis causes swelling and discomfort in the nasal passages, it’s going to impact the way you breathe through their nose. Patients with allergic ritinis are often given a full-face mask so that the pressure needed to keep the airways open can enter the nose and mouth instead of the nose exclusively like with nasal pillows or nasal masks. When patients with seasonal allergies have difficulty breathing through their nose, the natural instinct is to start breathing through the mouth. This can cause Obstructive sleep apnea leading to more issues. Another tip for AR sufferers with sleep apnea is to ask your sleep physician about automatic positive airway pressure (APAP) therapy. Unlike CPAP machines which blows a constant stream of pressurized air at one setting, APAP machines are given a high and low range pressure settings. In this way, when pressure needs increase, like when congestion is influencing a change in pressure needs, the APAP machine can raise the pressure to get past the additional blockage. If your seasonal allergies are causing you to lose sleep, or your sleep apnea is compounded during allergy season, contact your local sleep clinic for help. You can get tested for these condition as well as start a form of therapy to combat your sleep issues. You need to use a CPAP or APAP device or just better manage your allergen exposure to get the rest you need. Regardless, you deserve- and require- proper sleep for your life.